Unique in the Denver metropolitan region, Solis is a vocal ensemble consisting of five male voices focusing on music of the Renaissance and modern period. The singers bring a joy of music to their audiences and have brought both early music and popular tunes to young and old alike. 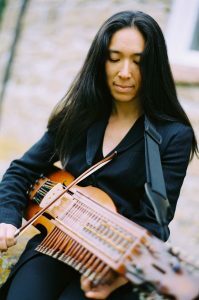 Solis performs in churches, concert venues, and works in collaboration with other arts organizations. To learn more about Solis, click here. Click here to see texts for the program. 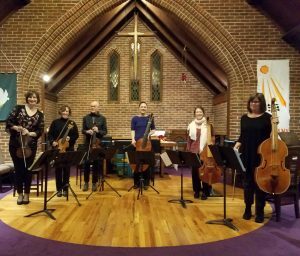 Happy Hour Concerts presents this special Sunday performance by Sinfonia Spirituosa, highlighting works by father Johann Sebastian and son Carl Philipp Emanuel Bach, as well as CPE’s godfather Georg Philipp Telemann. 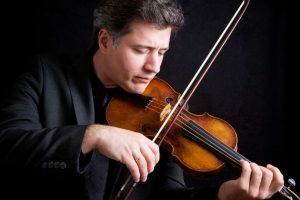 Harpsichordist Frank Nowell (Artistic Director, Baroque Chamber Orchestra of Colorado) and violinist Jubal Fulks (Leader, Sinfonia Spirituosa Sacramento) join forces to present a concert of solo and duo works by JS Bach, Corelli, and Handel. This program explores the breadth of possibilities for each instrument as they exchange musical roles. Ranging from unaccompanied to accompaniment to primary voice, they work together to form a seamless and important combination of sound which exists in compositions from the baroque era to those of today. 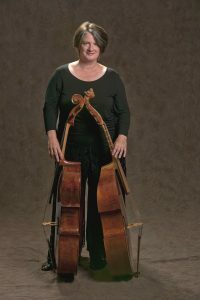 Viola da gamba and nyckelharpa are a match made in heaven, sharing and enhancing each other’s resonances to create a new “instrument.” Sandra and Ann Marie will reach back into the origins of their instruments (15th century), making stops along the way in the Renaissance, Baroque, and Folk genres. New compositions from the 20th/21st centuries will also be featured. Works by Bach take on a whole new life in their care. Please come and enjoy this delightful exploration. 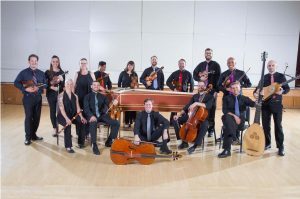 Golden Viols presents a celebration of the English Renaissance (and the Denver viol community). 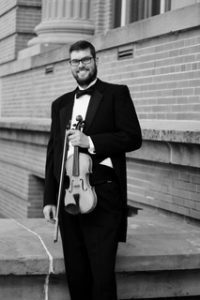 The concert features 4-, 5-, and 6-part polyphony, as well as the premier of a new composition by Sean Brady – a set of six dances for four gambas. Featured artists: Sarah Biber, Stacey Brady, Karl Reque, Sandy Miller, Kari Epstein, and Hannah Robbins. We are proud to inaugurate our new An Evening with… experience by welcoming back this incredible artist to HHCC. The evening will feature a wonderful performance, in addition to a conversation with the artist. 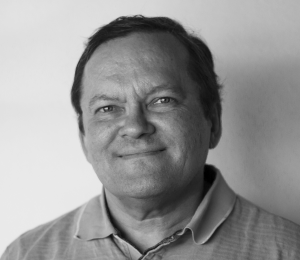 HHCC Board member Ron Roschke will curate the conversation. The concert will be extended to 75 minutes for this event. Plan on enjoying a remarkable evening of beautiful music and new insights into the intricacies of early music performance!